Horseback adventures for the whole family. 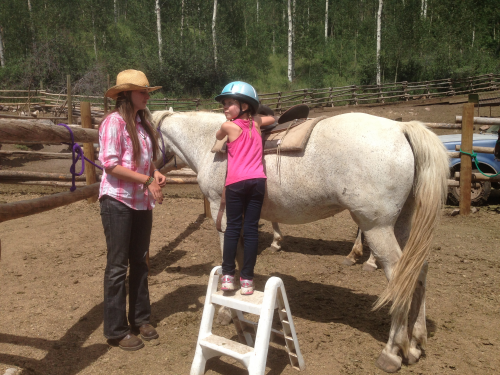 Guided horseback rides for adults and children 5 and up. Vail Stables has the most convenient location on your Vail vacation, and the best views of the Gore Range and Vail Valley. Informative guides will take you behind the ridge above Vail, through Aspen glades, dark stands of Evergreens, across crystal clear creeks, and green meadows. It also offers a wide variety of fun, unique summer camp prograns for kids 3-17 between 9am and 3pm, Mon-Sat. Let your children enjoy The Ranch while you enjoy some guilt-free alone time on your vacation. Adult-OnlyTrail Rides on Mountain Trails.